An electric shaver is one of the popular grooming tools for women. The shaver basically trims hair to very fine lengths giving you a smooth looking skin. An electric shaver or razor only cuts the hair and does not remove them from the roots like an epilator. If you are very busy or cannot tolerate the pain of waxing or epilation, then getting a best electric shaver for women is the solution to your hairy problems. They are compact, lightweight and portable and can give you a smooth skin in a jiffy. They are available for wet or dry use and can run on rechargeable or normal batteries. 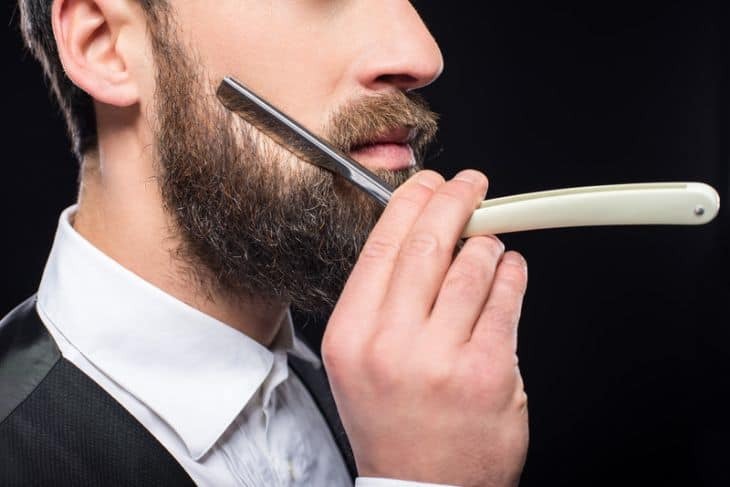 The foil shavers are the most common type of shaver where the blades are housed under a thin foil mesh and the unwanted hair which goes through foil gets cut. There are also rotary shavers in which the rotating heads pulls and cuts the hair as they are moved over the body. The shavers also come with detachable bikini trimmers which can be used in sensitive bikini line areas. Before you buy an electric shaver, read our reviews of the 5 best women's electric shavers available today. This is easily one of the best electric razor for women that give excellent results. The Panasonic ES2207P Curves shaver has three independently floating shaving blades that follows the curves of your body to give a close, comfortable shave. The blades are hypo-allergenic to keep sensitive skin safe. A handy pop up trimmer works as a bikini trimmer and remove any stray hair while shaving. The cordless shaver has a rechargeable battery that gives you 20 minutes of operation. There is a convenient AC charger and you can also shave by plugging to an electrical outlet. A travel pouch and cleaning brush is also provided. The head is fully waterproof so you can clean it easily and use in shower with any gel or soap for maximum comfort. The ES2216PC from Panasonic is another best women's shaver for getting a perfect bikini line. A curve shaped pivoting head that adjusts back and forth, guide four hypo-allergenic blades smoothly along body contours for a close shaving experience. It has a pop up trimmer and a separate bikini trimmer attachment to give you more precision and multi-height trim settings for the bikini area. The pop up trimmer also removes any stray hair on the way. The cordless rechargeable shaver is fully immersible so you can use in shower. It gives 20 min shaving time on full charge and comes with a compact AC charger. The Braun Silk Epil 5 is basically an epilator but comes with a shaving head and a bikini trimmer cap and offers amazing shaving results as well. This complete package comes at a good price, making it one of the best electric razor for women. The Silk Epil 5 has a 40 tweezers pivoting epilation head with high frequency massage system that stimulates skin and gives smooth performance. The shaver head along with a trimmer cap give a smooth shave and trimming for hard to reach areas like underarms and bikini line regions. A built-in LED smart light makes it useful in spotting all the hairs and get a uniform shave. It is waterproof and has a rechargeable battery that gives 30 minutes of operation with 1 hour charging. It is a corded model with 2 speed settings. The kit comes with a travel pouch and cooling pad that can soothe the skin after shaving. If you are looking for the best women's electric shaver, then Silk Epil 5 is the top pick. The Remington WDF4840 has a premium design and excellent features making it one of best female electric razor. There are two floating hypo-allergenic foils with four blades that follow body curves for comfortable and rash free shaving. The aloe vera infused to the shaver strip to give you the ultimate smooth and silky feel. An integrated flexible trimmer trims your hair fine and catches any stray hair. You can use the separate bikini trimmer comb for precision trimming and shape intimate areas. The cordless shaver is waterproof and has an anti-slip grip. Shaver battery is rechargeable and gives 30 min of shaving on full charge. It comes with a charging stand with LED indicator, cleaning brush and a beauty bag. The satin shave essential is one of the best foil shaver and excellent for shaving your whole body safely and quickly. It has a small shaving head with a sleek design to give you a soft and smooth finish. It is a single foil shaver with hypo-allergenic blades to prevent any irritation. An anti-slip grip make it easy for you to use the wet and dry model in shower. The shaver is cordless and powered by 2 AA batteries. It comes with a cleaning brush and travel cap and is an affordable model if you are looking for quick and safe shave. Using an electric razor is a good choice for those who can’t tolerate pain and in a hurry to get hair-free skin. Any of the above best female electric razor can do a decent and quick job to give you a smooth skin. The Panasonic ES2207P is our choice for the best electric shaver for women for your needs from our list and we assure that it will be worth your money. Laura Jones is our chief editor and driving force behind this blog. She also works as a beauty consultant specializing in research and development of innovative and new age beauty products.She believes that sharing knowledge is the best way to improve the quality of life. I Read your article. it’s really very nice and informative article. I am really very impressed. Keep it up…….. I want to start by saying these all will hurt. No matter how much they pitch it to you that they are painless, it is a lie. The pain is similar to getting a tattoo. It hurts worse than waxing. With that being said, I highly recommend getting the Braun Silk Epil 5 5-280. I have been using that one for nearly 3 years now and LOVE it. After doing it 3 or 4 times, the pain isn’t nearly as bad.